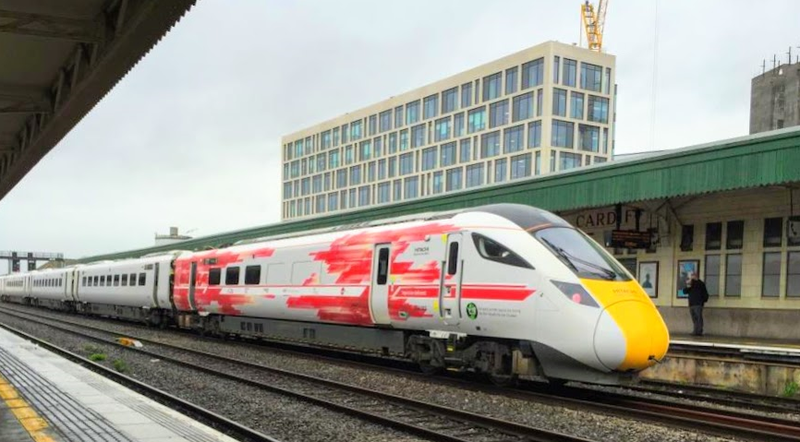 Hitachi’s Class 800 intercity train has completed its first test run in Wales. 800 002 has completed a test service through the Severn Tunnel to Newport, Cardiff, Bridgend and Port Talbot before arriving at Hitachi’s Swansea depot. The bi-mode units are scheduled to begin operating commercial services out of London Paddington this autumn. Karen Boswell, managing director at Hitachi Rail Europe, said: “Our new intercity trains will bring rail travel in Wales firmly into the 21st century. These modern trains are being built in Britain using pioneering Japanese bullet train technology.